Get rid of oily locks once and for all. The consensus in the beauty industry is that natural hair oils, when left alone, can make your locks look soft and shiny. However, those who suffer from too much oil can have strands that look greasy and weighed down, leading to challenges with styling and daily maintenance. 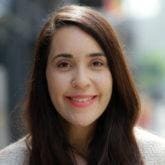 While a lot of these oily hair cases are hereditary, there are certain things you can do to ensure that the oils in your hair are balanced and controlled. One way to combat this challenge is by using the right shampoo for oily hair. Treat your oily hair with some of our favorite shampoos. Too much of a good thing can get bad, and conditioner is no different. Too much conditioner, particularly on finer hair types, can weigh strands down. If your locks are already naturally oily, you may also find that you only need a weekly deep conditioner or a two-in-one formula to maintain daily moisture without piling on the grease. 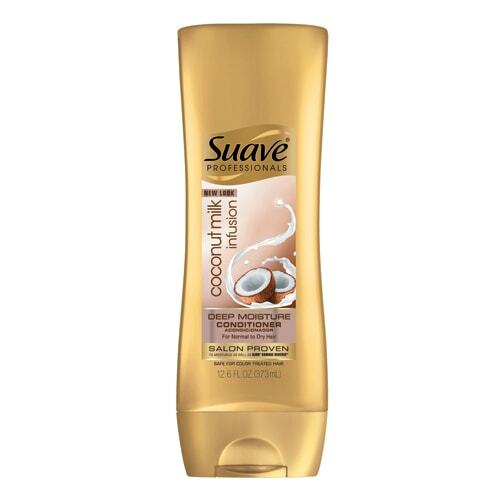 If you can swing it, use less conditioner in order to prevent greasy locks. 2. Wash your hair less. Overwashing hair may dry out the natural oils in your scalp. This is because hair tries to replace lost oils and can overcompensate by producing more than you need when stripped. 3. Use a dry shampoo. 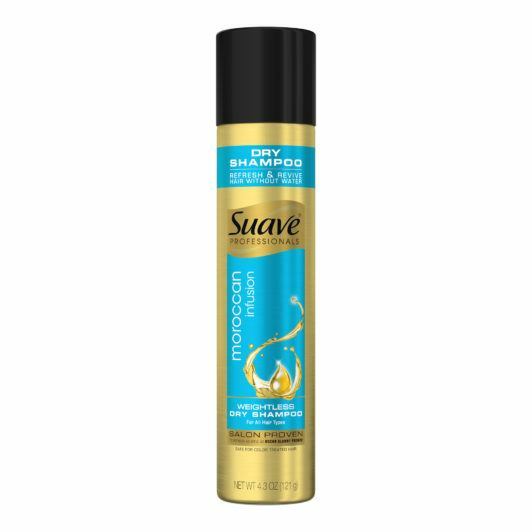 When you’re feeling especially oily or greasy, try using a dry shampoo, like Suave Moroccan Infusion Weightless Dry Shampoo. This formula helps soak up natural oils while also reviving and refreshing your locks and even extending your style for a few more days. 4. Refine your brushing technique. Brushing or combing your hair too hard can cause your follicles to produce more oils; whereas if you don’t brush enough, natural oils might not be distributed properly. Find your proper balance and be sure to use a boar-bristle brush, which is believed to deliver overall moisture and sheen from root to tip. 5. Go easy on product. Remember: Less is more. Overuse can impart residue, thus weighing down locks and creating greasy build-up. 6. Don’t touch your hair. We know that it’s hard not to touch your tresses after a fresh blowout, but by doing so you risk transferring oils from your hands onto your tresses, thus weighing them down. As we mentioned, dry shampoo should be your BFF! It works to remove any buildup or oil in your hair refreshing your locks. 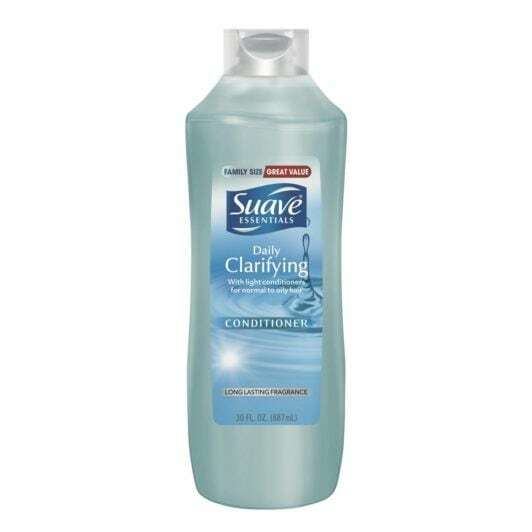 Use it in between washes to absorb grease and oil and to extend that blowout. 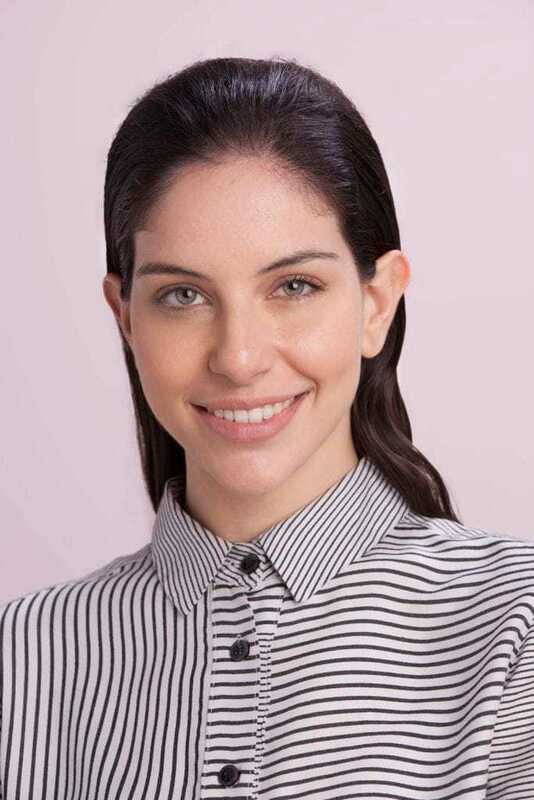 Since those with oily hair should aim to wash their hair less, they also have to make sure that when they do rinse that they’re using a formula that’s clarifying yet still nourishing. 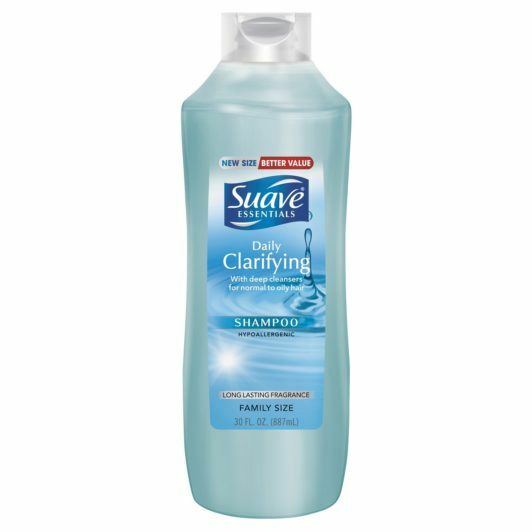 Try Suave Essentials Clarifying Shampoo and Conditioner, as its formula helps remove residue without stripping your hair. 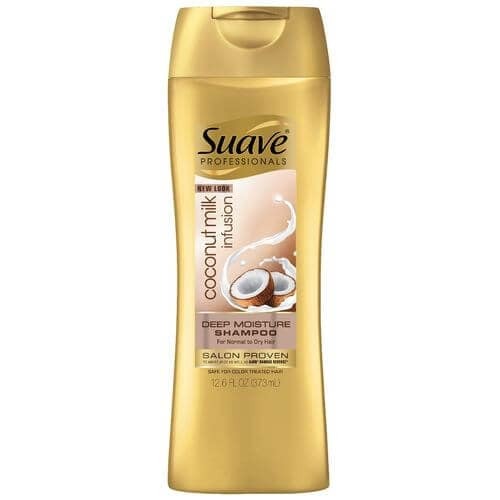 Try Suave Coconut Milk Infusion Deep Moisture Shampoo and Conditioner to help provide hair with deep moisture. Even oily hair needs moisture to maintain the perfect balance and keep hair healthy. Here's how to deal with greasy hair. Shinier Hair Via a Rinse with Cold Water: Fact or Fiction? How Often Should We Wash Different Hair Types?